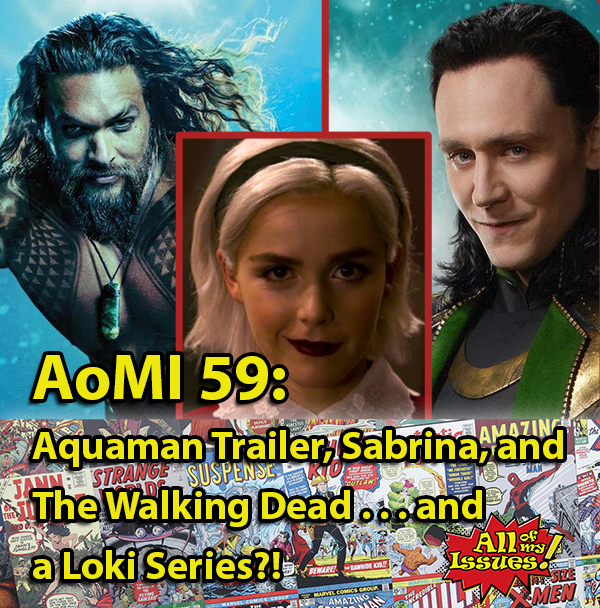 AoMI 59- Movies, TV, and Streaming News – All of My Issues! Could Aquaman save the DC Cinematic Universe? Is Loki really dead or has he simply been set aside for some streaming content? Who is the unexpected guest star of The Chilling Adventures of Sabrina the Teenage Witch? Also, Sam gets us all caught up with The Walking Dead. All this and more in the latest episode of AoMI, Episode 59!